We use DPD for our deliveries. DPD will deliver to your home address from Monday to Saturday, apart from bank holidays. Deliveries to remote areas and Northern Ireland may take a little longer. We send you a text and email on delivery day with a 1 hour time slot. We’ll send you an email with a link to track the delivery with DPD. On delivery day you’ll receive an email and text confirming your 1 hour delivery slot (between 8am and 8pm). You can also track your delivery using the DPD app. More information about the DPD app can be found on this video. You can change the date and time of delivery if you need to. Details on how to do this are in the email and text message. You’ll need to sign for your delivery. What if I’m not in when you try to deliver? If you’re not in, we’ll attempt to leave your order with a neighbour. If there isn’t a neighbour available then we’ll leave a card with the info you need and we’ll try to deliver again the next working day. If we miss you again, our Customer Care team will contact you to see if you still want your order. We’ll then arrange for re-delivery. The phone will be held in the DPD depot for 48 before being returned to us. 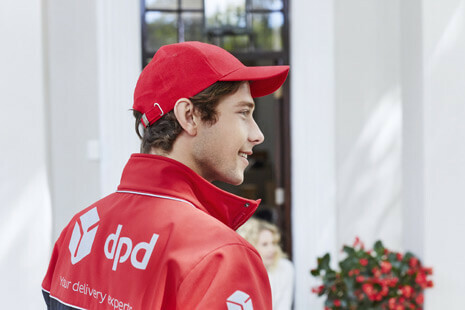 If you have a preferred neighbour you’d like us to leave it with or if you don’t want us to leave your order with any of your neighbours, you can set your preferences using the DPD app. The DPD app is available for iPhone and Android. Alternatively, enter your reference number and postcode on the DPD website to see your options. You’ve got a 14 day cooling off period after you buy your phone. If you decide not to keep your phone within 14 days, our returns help page has all the info you need. Royal Mail First Class will normally be with you the next working day, but sometimes it can take up to 3 working days. Can I get my order delivered to another address? No, we only deliver your billing address. Your SIM card will be delivered with your normal Royal Mail delivery. If you order before 4pm, it should be with you the next working day. You don’t need to be in. It’ll pop through the letterbox with all your other post.